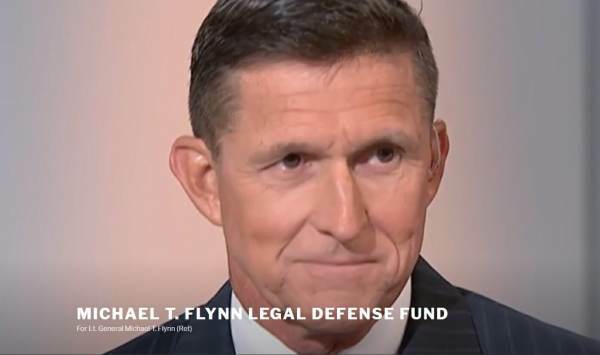 Sadly, Robert Mueller and the Special Counsel took a decorated war hero who spent more than 30 years in service to our nation a two-year-long ‘witch hunt’, leaving the honorable American General Michael Flynn and his family, broke and bankrupt! In fact, the decorated war hero was forced to drain and deplete his bank accounts, sell his home, and to file bankruptcy, as he had to defend his family, his name, and his life, in a court of law against Robert Mueller, who had a bottomless supply of money to finance his attack on an innocent man! Even sadder, the Mainstream Media and Democrats destroyed his family’s name in the public eye for years, only to find out that neither the Democrats, the Media, or the Special Counsel had a single shred of evidence that the General, the President, nor anyone who worked for him colluded with Russia! WHAT HAPPENED TO INNOCENT UNTIL PROVEN GUILTY! Ultimately, it is sad what has happened to a man and his family, after he spent his life defending our freedom! It is sad that he dedicated his life to making our nation safe, not only for this generation of Americans but for generations to come, only to have the government destroy his life, for purely political purposes! Therefore, not only should we help defend his family and help them financially, but we should investigate, arrest, and prosecute those who were behind this politically motivated attack on Flynn, the President, others destroyed by Mueller, the Constitution, and our nation as a whole!